Act now to take advantage of our special promotion! We feel so strongly that PC cleaner will help your PC, we guarantee your satisfaction. Personal license for only $7.95 A Month Limited Time Offer! Yes! Include License for up to 5 computers FREE! Get the All-In-One Ultimate PC Care! 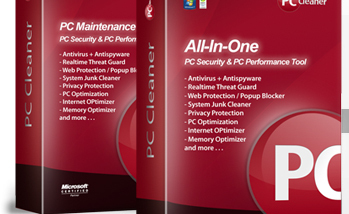 With PC Cleaner v10.0, you get the best performance, protection, privacy and security in one fantastic bundle. What's use PC Cleaner v10.0? Threat details for each quarantined file are shown. Fixes all types of PC errors, constant crashes and general system slowdowns. Automatic as well as user initiated update options are provided.